1 dormitorio más un sofá cama nuevo, vista abierta del agua. Fantástico condominio con vista al mar en Hilton Head Island. Esta unidad del tercer piso está totalmente equipada para su comodidad y cuenta con muebles nuevos y cuenta con todas las comodidades para vacacionar con estilo de centro turístico. Disfruta de la mejor escapada a la playa con una entrada privada, varias canchas de tenis y piscinas, un restaurante junto a la playa y otras 2 opciones gastronómicas en el lugar. Estás a solo pasos de todos estos servicios, así como de la arena y el océano. Propiedad ubicada en Hilton Head Beach and Tennis Resort. My husband and I stayed last week and had a great time. The condo was clean and comfortable and plenty of room for two. 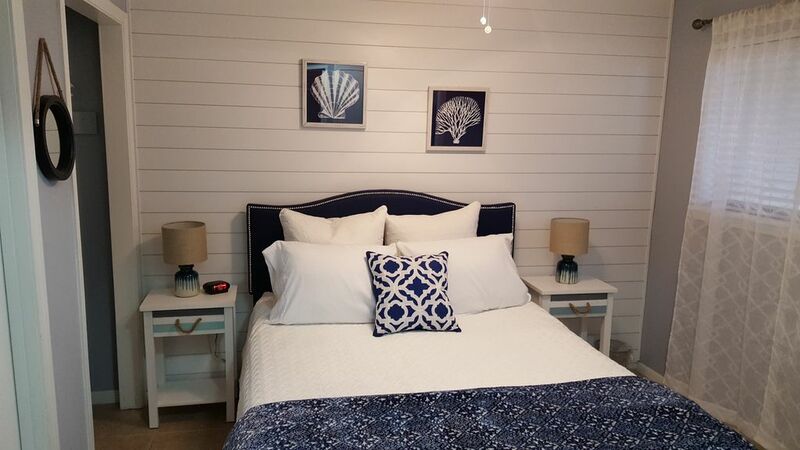 It is beautifully decorated in all beach theme furnishings and is well taken care of. The view on the balcony is beautiful and quite relaxing as you can hear the ocean. The surrounding property is very nice and we liked that it is gated with security. It's a close walk to the beach and pool and near a few restaurants too. We would definitely recommend staying here and would come back again. Thank you so much for a wonderful time. We truly enjoyed our stay. Paul and Holly. We loved our stay in this updated condo. The balcony view was nice. We greatly enjoyed our stay! Had a wonderful stay at this condo.Very clean and comfortable. Great location in nice resort.Will definitely return. Exceptionally neat and clean. Terrific ocean views from this Y unit. Would definitely go back! Glad you had a great experience in the condo. Thanks for staying with us. You won’t go wrong choosing this condo. Recently updated . We found the unit very clean with all the amenities necessary. Ideally located with walkable restaurants and pubs. Beach, pool and Tennis courts steps away. Bicycle rentals on site. Secured gated community with resort atmosphere. We are thrilled that you had a great experience during your stay. We hope you'll stay with us again. I have stayed here a few times now. The condo and resort is really nice and I enjoy the view. My stays have been during the off season but am looking forward to coming back to this unit when it's warm to really enjoy all it has to offer.